We are pleased to welcome Michelle Kay, from Less Stress More Zest. Michelle is an experienced stress management trainer and holistic therapist who works with carers, hospices, charities and individuals. 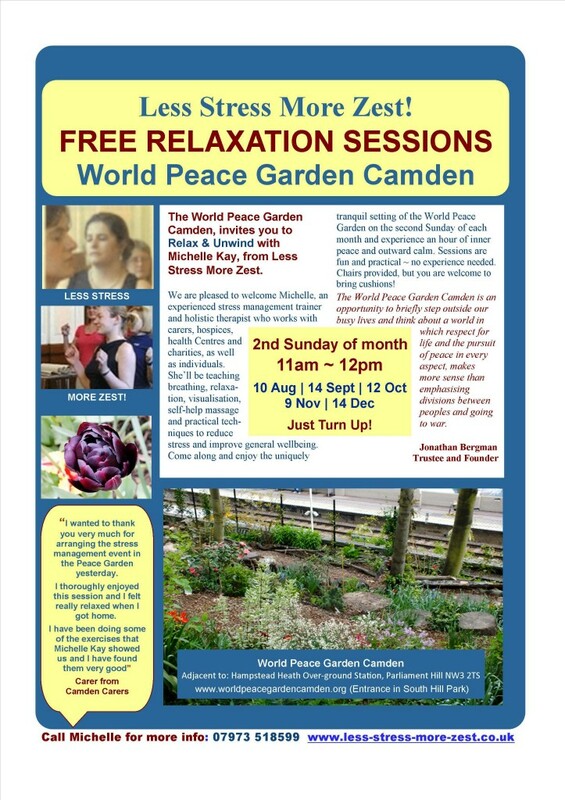 She’ll be teaching simple, but powerful breathing, relaxation, visualisation, mindfulness and self-help massage and practical techniques to reduce stress and improve well-being. No experience necessary, sessions are fun, relaxed and practical.